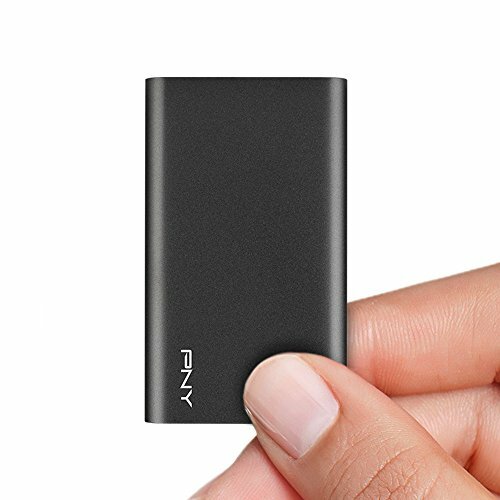 The PNY Elite USB 3.0 portable solid state drive (SSD) is the ultimate compact portable storage device. The PNY Elite portable solid state drive was designed with performance and reliability in mind. Transfer files faster than USB 3.0 Flash drives with read speeds up to 430 MB/s and write speeds up to 400 MB/s. Exceptional reliable performance offering up to 430 MB/s seq. Read and 400 MB/s seq. Write speeds. Transfer files faster than traditional USB 3.0 Flash drives. Compatible with most Windows and Mac computers via USB port. 24/7 US based technical support.